Anne is a native Rhode Islander and completed an A.B. in Biology with honors at Harvard University. Prior to graduate school, she worked at the New England Fishery Management Council, one of eight regional councils responsible for managing U.S. commercial and recreational marine fisheries in federal waters. As a fishery analyst, Anne saw firsthand the importance of science in the management process and was inspired to pursue research that contributes to fishery management and conservation. 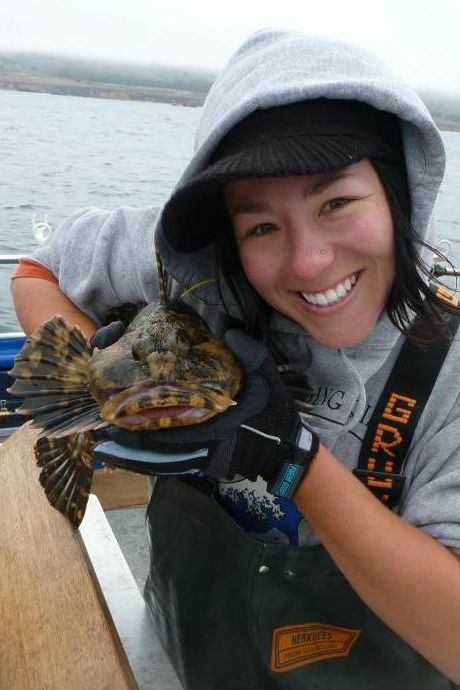 Anne received a Ph.D. in aquatic and fishery sciences from the University of Washington, where her research concentrated on the biology and ecology of lingcod, a top predator in rocky reef ecosystems of the Northeast Pacific. Following graduate school, she worked as a Research Associate at the University of Washington and NOAA Northwest Fisheries Science Center in Seattle. As a postdoc, Anne worked on several projects examining historical changes to groundfish communities along the U.S. west coast, using both long-term survey data and local ecological knowledge of resource users. In January 2012, she joined the faculty at the University of Alaska Fairbanks College of Fisheries and Ocean Sciences in Juneau. She was awarded tenure in July 2017. Cheryl earned a B.S. in Marine Biology from San Diego State University in 2006. After traveling and working in the nonprofit sector for a few years, she began working on her M.S. in Fisheries and Conservation Biology at Moss Landing Marine Laboratories (MLML). Her Master’s thesis evaluated growth, reproductive potential, and mortality of California halibut. In addition to developing estimates for the central California stock, she investigated biogeographic effects on California halibut life history and worked with agency scientists to incorporate her results into an upcoming stock assessment for this species. During her time at MLML, Cheryl also served as a program representative for California Sea Grant and lead scientist for the California Collaborative Fisheries Research Program. Matt grew up in Juneau and developed an interest in natural systems, which he pursued at the University of Montana, earning a B.A. in Ecological and Organismal Biology in 2009. After graduating, Matt worked at the Spatial Ecosystem Analysis Lab at University of Alaska Southeast, studying climate effects on tree growth, glacier-estuary dynamics, and goat behavior. He then worked at NOAA’s Auke Bay Lab in Juneau, studying fish energetics and other condition indices with a focus on Arctic forage fish and invertebrates. In 2017, Matt started the M.S. program in fisheries at UAF, where his research investigates the effects of temperature and prey quality on condition and growth of juvenile sablefish. This project aims to inform fisheries management on factors that influence juvenile survival for a commercially valuable species that has experienced low recruitment to the fishery in recent years. Jesse completed a B.S. in Environmental Science from the University of Vermont in 2017. As an undergraduate, Jesse spent a summer in Southcentral Alaska, where he supported a variety of ecological monitoring projects around the Kenai Peninsula and the Prince William Sound. Jesse continued onward from Alaska to Yellowstone National Park. He worked on gillnet vessels and conducted mobile acoustic telemetry surveys to identify lake trout spawning grounds in Yellowstone Lake. Jesse then headed to the Pacific Northwest to help connect youth in Western Washington to the outdoors. There, he witnessed the positive impact of engaging individuals and communities with the environment. Through his diverse experiences in fisheries biology and community outreach, he became inspired to seek out interdisciplinary research in the human dimensions of fisheries. Jesse started his M.S. through the College of Fisheries and Ocean Sciences at the University of Alaska Fairbanks in 2018. Jesse’s research aims to address information gaps in the management of rockfishes in Alaska through the use of local ecological knowledge (LEK) in combination with scientific data from Alaska Department of Fish & Game (ADF&G). Additionally, Jesse hopes that his research will improve trust between local stakeholders and scientists, and will support a holistic and community-based approach to fisheries management in Alaska. Nina grew up in Colorado and earned a B.A. in Organismal Biology and Ecology from Colorado College in 2017. She spent a summer in the San Juan Islands, Washington, studying the diet of juvenile Chinook salmon, and this work inspired a love of coastal ecosystems. Nina then worked as a research assistant for the Coastal Fisheries Ecology Lab from June through December of 2017, beach seining in the summer and analyzing the gut contents of staghorn sculpin in the fall and winter. 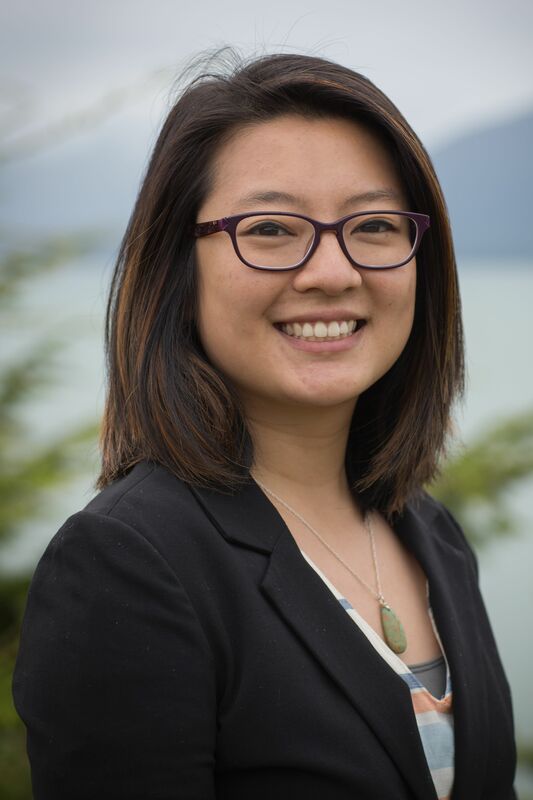 After indulging her love of books and bookstores by working in a Juneau bookshop for several months, Nina decided to return to the sea, and joined the CFE Lab as a Master’s student in January 2019. She is investigating estuarine fish community composition and its variations along a spectrum of watersheds, from glacial to clearwater. Veronica is a born and raised Jersey girl. She earned her undergraduate degree in Ecology, Evolution, and Environmental Biology from Columbia University in New York. She discovered her passion for wildlife research during the summer between her junior and senior years, when she was a research intern for Wildlife Trust, investigating the overall health of black-crowned night herons living in the New York Harbor. Her undergrad mentor offered her a position on a project in Alaska the following year, and although she had never really considered Alaska before, she was ready for adventure and accepted the offer. It was perhaps the best decision she could have made, because she has not left Alaska since. In her 10 years since moving to Alaska she has earned her Master’s degree in fisheries and is currently pursuing her PhD. Her Master’s research investigated the genetic relationships of least cisco, a whitefish species that is broadly distributed across Alaska. Her PhD research investigates the impacts of plastic marine debris on food webs in the Bering Sea. She is also currently the Science Education and Communication Specialist for the Aleut Community of St. Paul Island Ecosystem Conservation Office, where she helps coordinate science programs for students. She believes anyone can be a scientist, and she hopes that by spreading her love and passion for all things science, she can make the field more accessible to everyone. Doug completed a B.A. in Fisheries with a minor in Marine Science at UAF in December 2014. He worked as a research assistant in the Coastal Fisheries Ecology Lab from May to December 2014, examining the trophic ecology of estuarine fishes. Doug worked as a port sampler in Dutch Harbor and surveyed salmon streams in Sitka for the Alaska Department of Fish and Game before rejoining the lab as a Master’s student. His MS research examined the impacts of nearshore fish predators on hatchery and wild salmon smolts. Doug began a position as a fishery management specialist at NOAA’s Alaska Regional Office in Juneau in fall 2018. Joe received a B.S. in Biology from Central Michigan University, a M.S. in Marine Biology from Auburn University, and a Ph.D. in Resource Ecology Management from the University of Michigan. In 2017, Joe was awarded a National Research Council Fellowship to conduct postdoctoral work in collaboration with NOAA’s Alaska Fisheries Science Center and UAF. His project examined bioenergetic trade-offs for YOY sablefish (Anoplopoma fimbria) exposed to varying temperature and ration regimes. 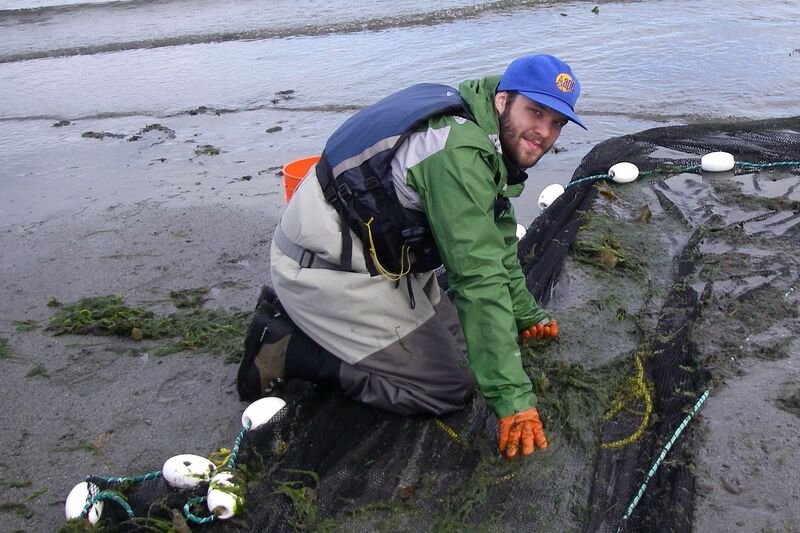 Joe currently works as a fishery management specialist at NOAA’s Alaska Regional Office in Juneau. Maggie graduated from Barnard College with a B.A. in Environmental Biology. After being involved in diverse research worldwide, she was inspired by the profound need for increased research on human dimensions of marine systems. Maggie was an NSF-IGERT Graduate Fellow in the Marine Ecosystem Sustainability in the Arctic and Subarctic (MESAS) Program at UAF. 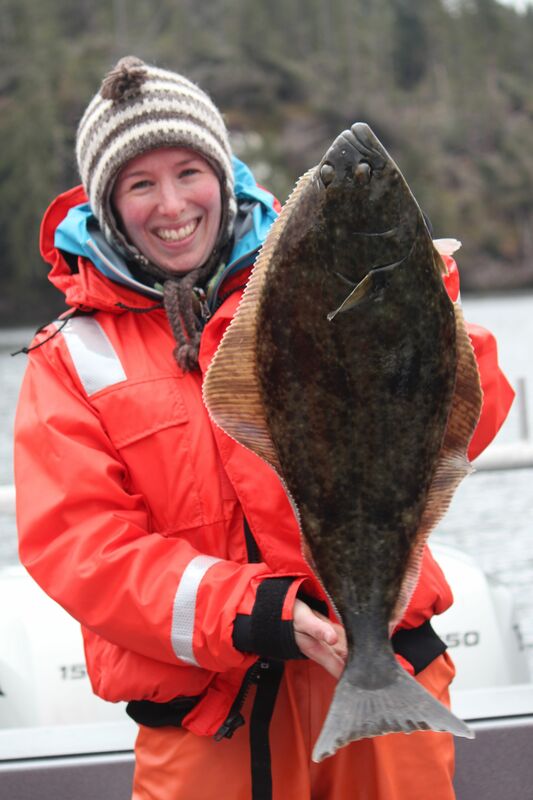 Her PhD research focused on the effects of regulations on fishing behavior and perceptions of management and ecological change among sport and subsistence halibut fishers. Maggie is a 2018 Knauss Marine Policy Fellow in Washington, D.C., working in the House Committee on Transportation and Infrastructure. Rhea graduated in 2008 from the University of South Dakota with her B.S. in Biology and German. After college, Rhea moved to Sitka, AK, where she served as an AmeriCorps volunteer and worked as a deckhand on a 45-foot troller. Rhea has worked as a biologist at the Alaska Department of Fish and Game in Sitka since 2010. 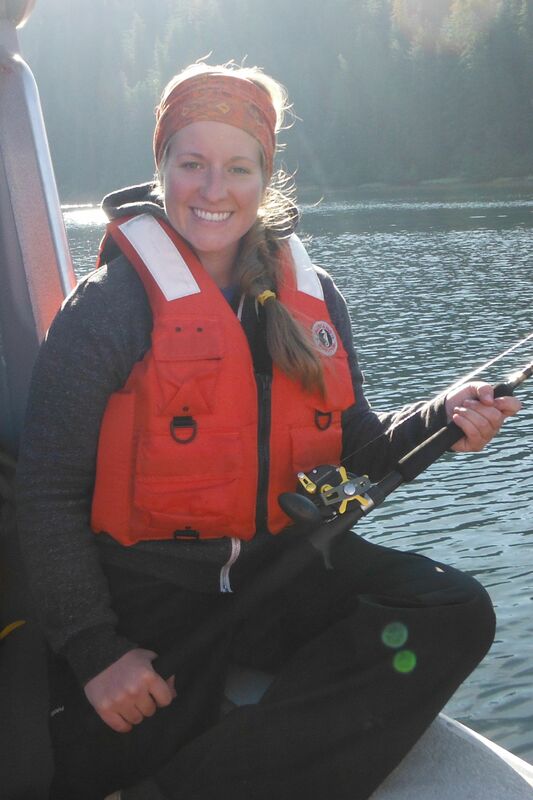 She completed her MS through the ADF&G Graduate Studies Program and her graduate research focused on juvenile sablefish movement ecology in St. John Baptist Bay, just north of Sitka. After receiving a B.S in Biology from Whitworth University, Emily worked with the Snohomish County Marine Resources Committee (MRC) in Everett, Washington. From Seattle, she moved to Juneau to work in the Beaudreau Lab as a research assistant on a project mapping the history of fishing in Puget Sound over the past 60 years. Emily stayed for a Master’s in fisheries, focusing on estuary food webs in southeast Alaska. She graduated in August 2016. Emily is working as an analyst at the U.S. Forest Service in Juneau. Natura earned a B.S. Molecular, Cellular and Development Biology from the University of California at Santa Cruz. She completed her Master’s degree in Fisheries at UAF in May 2016. Her research investigated the foraging ecology and factors contributing to growth of juvenile sockeye salmon during their lake rearing phase. Natura is currently working as a biologist and fisheries manager for the Alaska Department of Fish and Game in Kodiak, AK. Karson earned a B.S. with honors in Marine Biology at the University of New England (UNE). She completed her Master’s degree in Fisheries at UAF in December 2014. Her research investigated seasonal and ontogenetic shifts in the diet composition and habitat use of juvenile sablefish, Anoplopoma fimbria. After graduation, Karson worked as a data analyst for NOAA’s Alaska Fisheries Science Center in Juneau, AK. She then joined the Mid-Atlantic Fishery Management Council staff in Dover, Delaware, in 2018.